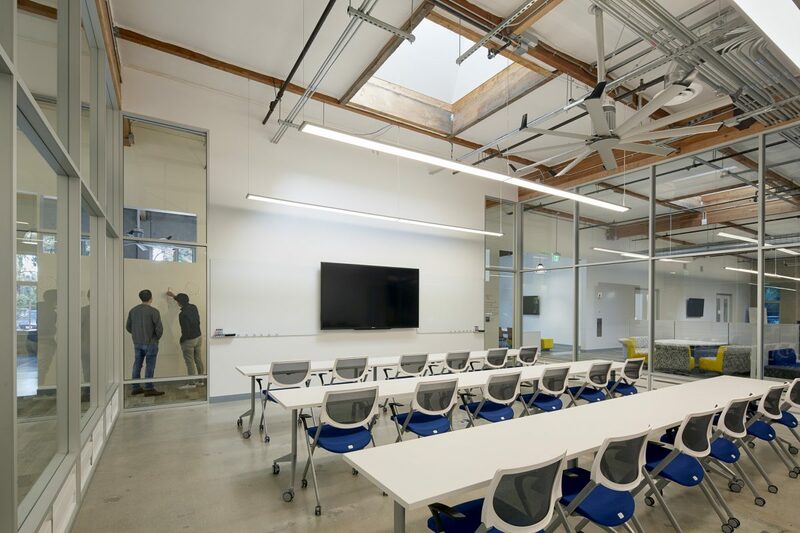 A high-tech firm sees the light with a Net Zero Energy design. There is a difference between having a big reach and having a big footprint. 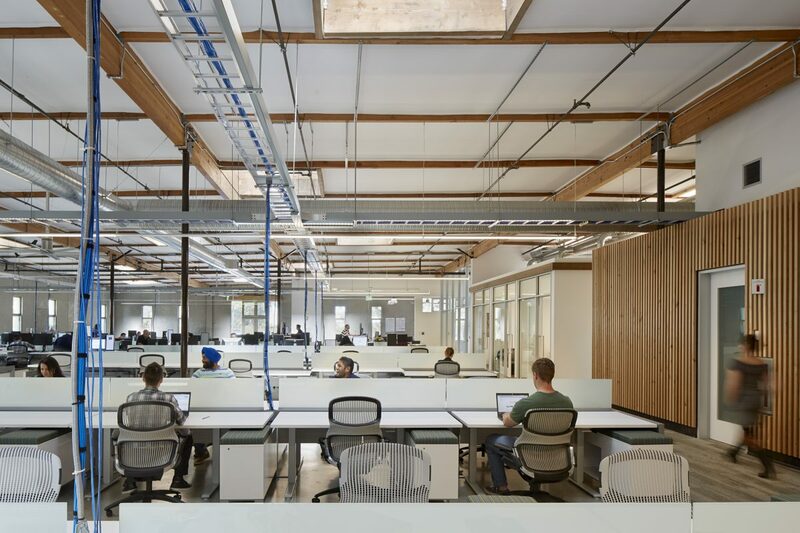 Shipwire designs software that aligns worldwide shipping logistics, so naturally the company has a far-reaching perspective when it comes to workplace sustainability and flexibility. 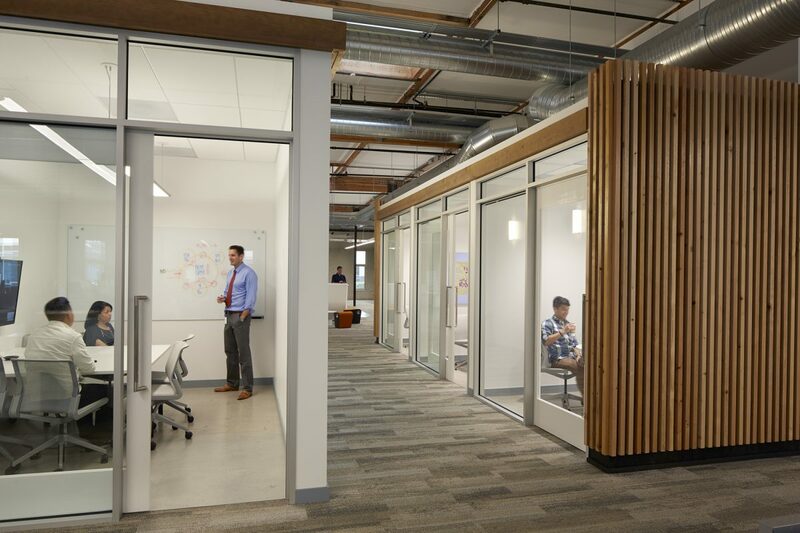 When they leased the RMW-designed Net Zero Energy-retrofit office building at 435 Indio Way, Sunnyvale, Shipwire signed on for a highly sustainable interior build-out, and RMW delivered. 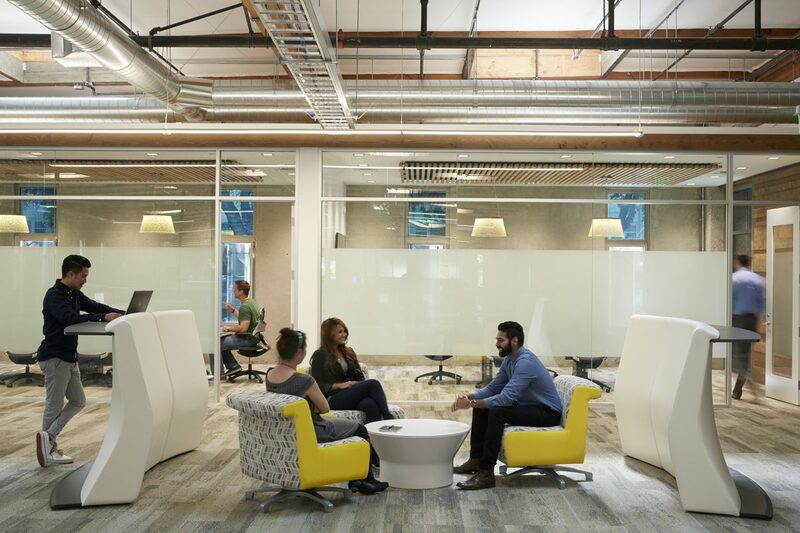 Individual benched workstations are paired with glass-enclosed meeting spaces to keep things light and airy. Shipwire’s employees like to meet spontaneously, a work style that’s supported by lots of whiteboard surfaces and a variety of collaborative spaces. The interior finishes are honest and simple, with touches of color that glow beneath the 43 skylights. 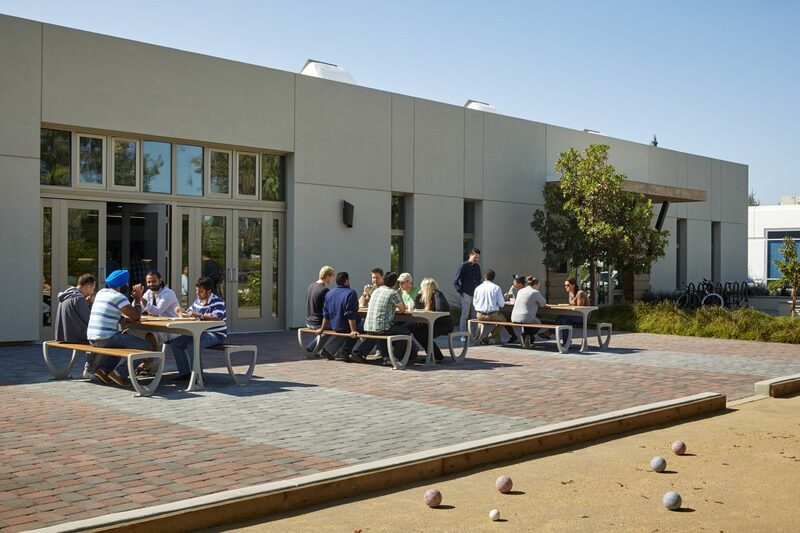 The employee break room opens onto a back patio with bocce ball and raised-bed vegetable gardens. 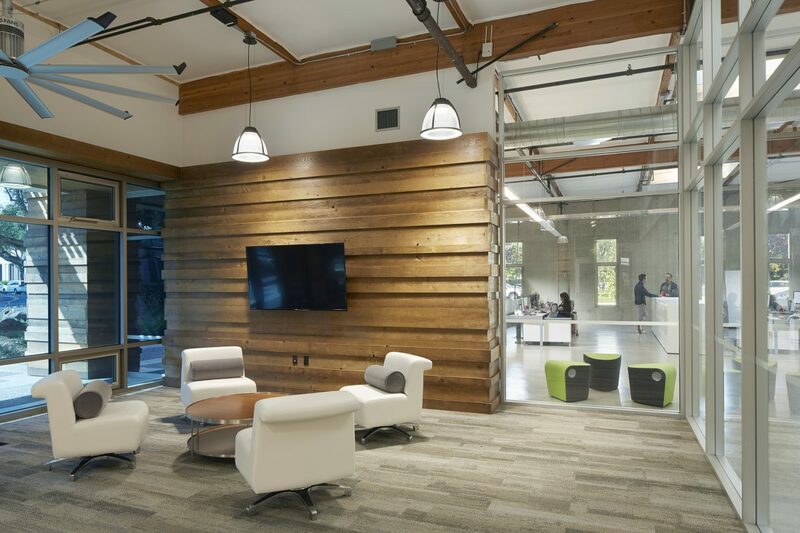 For a forward-thinking tech company, this interior build-out is the whole package. Since 435 Indio Way produces as much energy as it needs to operate at average loads, Shipwire should never receive an energy bill. Publication: The project was featured in the September/October 2015 issue of Urban Land magazine, and in the March 2015 issue of Architectural Record. Award: Shipwire was awarded “Best Sustainable Built Environment” in the 2015 Acterra Business Environmental Awards.